You are here: Home / Growing. Building. Working. We are growing, working and building our City. 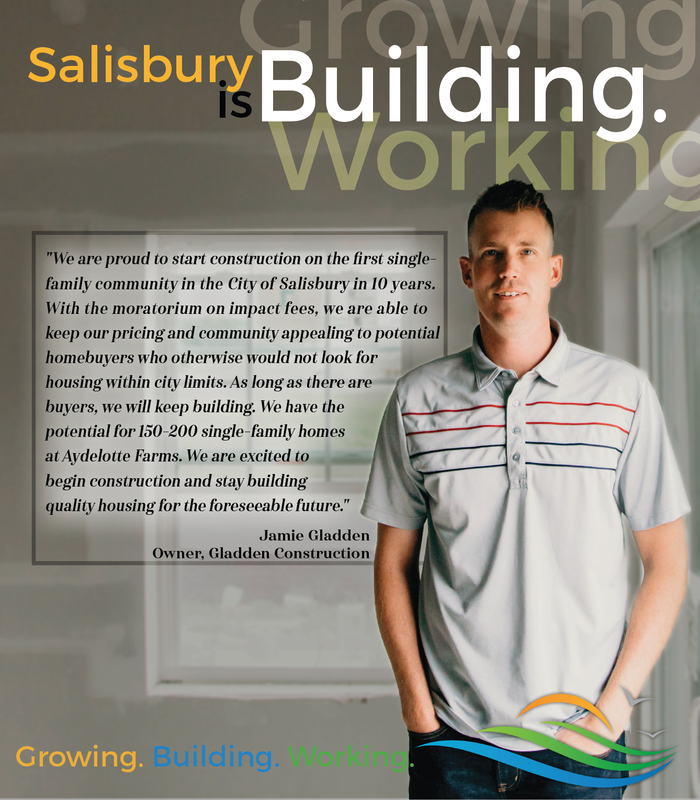 The 2016 US Census Bureau Population Estimate shows that between 2010 and 2016, we added 3,061 people to the City of Salisbury. That represents 10% growth from 2010, while the remainder of Wicomico County and the other 7 counties of the Eastern Shore collectively lost 238 people. Salisbury is the #1 fastest growing city in Maryland. We remain the economic capital of the Eastern Shore. Still 91.1% of all business revenue in Wicomico County is received in the City of Salisbury (Bureau of Economic Analysis, 2017) and 83% of all employment in Wicomico County is within the City of Salisbury (Bureau of Labor Statistics, OWIP, 2017). Our job market continues to shine. In 2015, we were the 42nd fastest growing job market in America. In 2016, we were the 7th fastest growing job market in America (US Conference of Mayors Metro Economies Index, 2017). 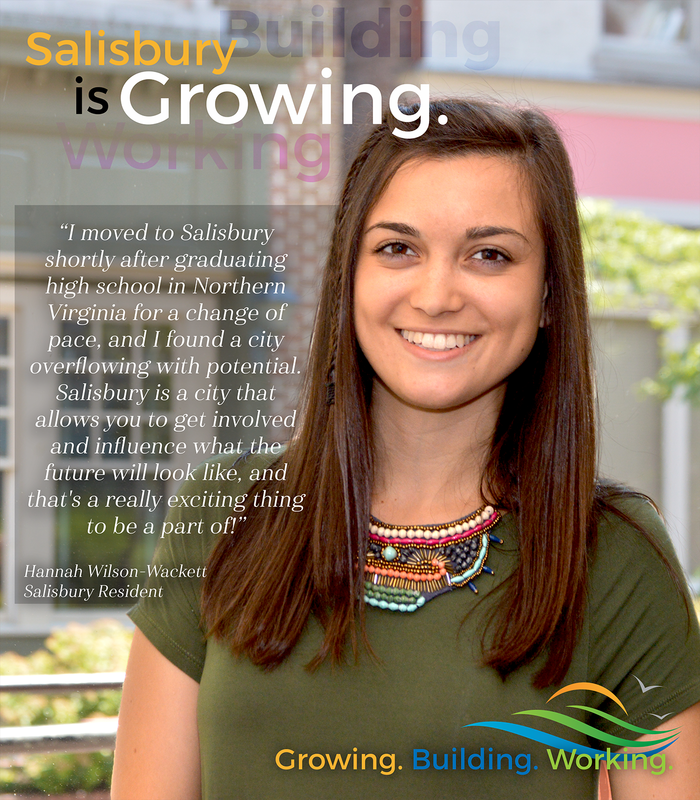 Median advertised wage for the more than 2,000 jobs we have available in Salisbury has risen to $46,307 in March 2017 – an indicator of good things to come. Our median age continues to decline to 28.2, and educational achievement continues to rise. And to accommodate these jobs and people, the construction industry is heating up. Construction value in the City through March 2017 is $20,106,255 for the calendar year, up 10% over 2016 at this time. Wicomico County now has fewer than 2 months of housing inventory as the housing market heats up once again. We have 3 single family residential developments underway with over 100 units under construction, and we have over 1,800 multifamily units in the construction and permitting pipeline. Assessments of our property continues to climb and the pace of both construction and employment tells us that the best is in front of us. The future is bright.